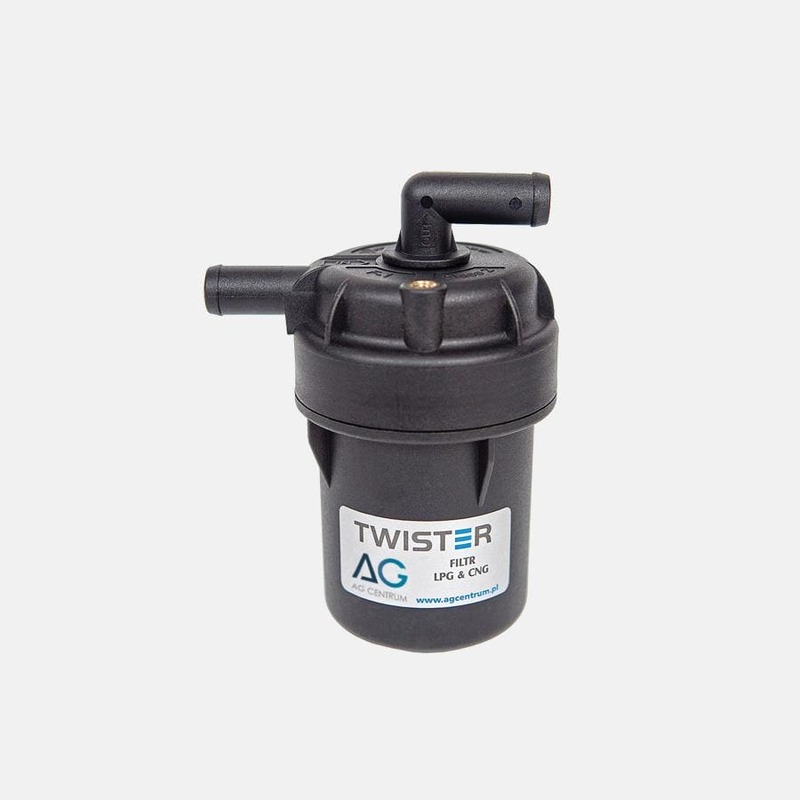 Twister – a revolutionary filter, is designed to force the falling gas into a swirling motion as it moves down the filter body. Along the way, thanks to the swirling motion, the centrifugal force and the force of inertia, pull solid and liquid particles away from the gas where they collect and stay at the bottom. The filtering inlet additionally purifies the swirling, upward returning gas flow from minor impurities. 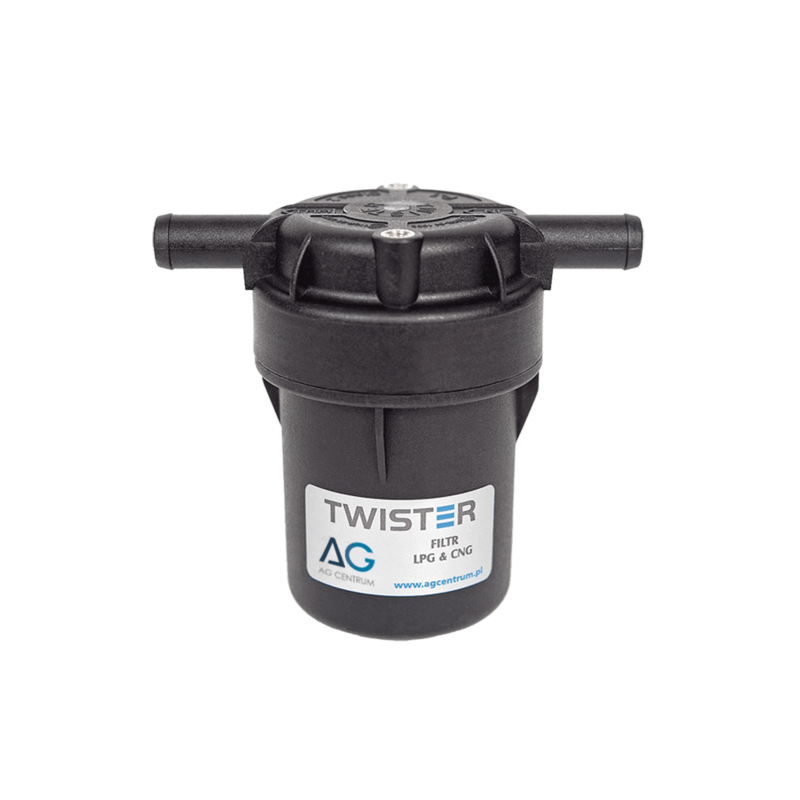 The use of the Twister filter in the gas installation system protects gas injectors against oily substances and solid particles. 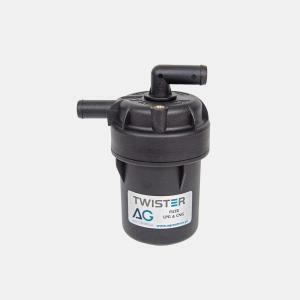 Twister greatly improves the reliability of the whole gas injection system in the vehicle. The LPG type F-1 „Twister” filtering unit is a gas phase filtration unit for mounting between reducer and injection rail.